Excellence in sport is not just about talent, it's also about temperament and the ability to gather yourself when things are going wrong. On the first Saturday in February, Stephen Gallacher made seven birdies and an eagle to cover the back nine at the Dubai Desert Classic in 28 shots, a blistering run of form that rocketed him to the top of the leaderboard. On days like that, everything seems easy to the elite. Fairways could be found while wearing a blindfold. Putts could drop as if the hole was the size of dustbin lid. On the Sunday, Gallacher stood on the first tee with a two-shot lead over his playing partner Rory McIlroy - and suddenly things weren't so straightforward anymore. The Scot bogeyed the first and the second, the sixth and the eighth. His two-shot lead had gone. The chasing pack had eaten him up and he now trailed by two. Gallacher was never more composed than when things seemed to be falling apart. He birdied the 11th and the 13th, then the 16th and 17th to win the tournament by a single shot - and more than £250,000 to boot. It was the launch pad for what happened in the autumn in Perthshire, but that can wait, for so much occurred in Scottish sport in 2014 before the Ryder Cup circus rolled into Gleneagles. If Gallacher showed an ability to find his best stuff when the pressure was at its most intense then so, too, did curler David Murdoch in Sochi, his last stone of a fraught match with Sweden turning a one-point deficit into a one-point win. His coolness guaranteed an Olympic silver medal for Team GB. A bronze was not the colour that Eve Muirhead's rink were looking for, but it sufficed. Murdoch returned home as a hero. Feted in the media, he was one of the names of the early part of the year. We forget now that in the weeks after his career high, he suffered a lifetime low with the sudden death of his father. In our mind's eye we see a beaming Murdoch with that silver medal around his neck, but we do not appreciate what a fiendishly bittersweet year it was for him. Sport is glorious, but it's also cruel. The brilliant and courageous Ricky Burns had not lost a fight in seven years, but the signs of decline were there at the end of 2013 when he was fortunate to get a draw from his WBO lightweight title defence against Raymundo Beltran. Burns is one of the good guys in the toughest game of all, but on the first day of March, in front of his own people in Glasgow, his dominance in the division ended when he lost a unanimous points decision against the undefeated Nebraskan, Terence Crawford. The Scot vowed to come back, better than ever. For once, we doubted him. His return to the ring came in June against Dejan Zlaticanin, a formidable Montenegrin with a flawless record. Burns lost again, a split decision this time. In October, he fought for a third time in the year - and won - but as much as we want the fairytale to come true, the Burns era as we knew it - and revelled in - ended in 2014. Little did we realise back in March that another charismatic, talented and loveable character would enter the ring, and our consciousness, in double-quick time. 'The Mailman', Charlie Flynn, was still killing crocodiles in the shadows at that point, a virtual unknown in his own land. His time would soon come. And how. March is a time for rugby and, by extension, failure on the international front. It's hard to know what best encapsulated the dog days of the spring for the national side. The soulless defeat by England was bad enough but was topped in terms of mortification by the 50-point annihilation by the Welsh at the tail-end of a Six Nations championship that brought one win. Scott Johnson, the interim coach, talked the talk but his schtick grew ever more wearying. Everybody just ticked off the days until Vern Cotter replaced him. The spark came in the form of Gregor Townsend's Glasgow Warriors, a club that rampaged through the Pro12 knocking over big names like skittles in an alley. On the field and off, Glasgow made strides. Scotstoun has become a fortress, its growing attendances and match-day atmosphere put Edinburgh to shame. Townsend took his team all the way to the Pro12 final in Dublin where, alas, they were halted by a Leinster side that were in no mood to lose on what was Brian O'Driscoll's last ever game. Glasgow's march continues, though. Summertime saw the emergence of one young golfer and the re-emergence of one not so young. Bradley Neil, the 18-year-old from Blairgowrie, held his nerve in the final of the British Amateur championship at Royal Portrush and beat South Africa's Zander Lombard 2&1. He was the first Scot in a decade to take the title. Colin Montgomerie turned 51 this year and yet he's never had a better summer. You wait all your life for one major to come along and then two appear at once. Senior majors, perhaps, but his victories in the PGA and the US Open were hugely impressive all the same. He is not the only Scot who knows what it is to win in America, although in the case of Andy Murray, the truly big victories eluded him in 2014. Murray lost in the quarter-finals in Australia to Roger Federer and the semi-finals in France to Rafa Nadal.He lost in the quarters of Wimbledon to Grigor Dimitrov and at the same stage of the US Open to Novak Djovokic. Only Wimbledon was a shock. We watched him struggle in other events but, champion that he is, he finished the year with three tournament victories and much to build on in the new year ahead. Even as all of this was going on, everybody was getting ready for the arrival of a sporting behemoth. 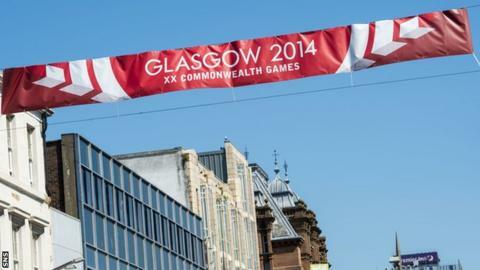 The Commonwealth Games were blessed by freakishly hot weather that helped show off Glasgow in all its welcoming glory. The city - the nation - partied through the week-and-a-half of competition. In surreal scenes, Scots rejoiced at the success of sports they had never seen before and some performers they had never heard of. Scotland's golden judoka - the Rennicks,Sarah Clark,Sarah Adlington, Chris Sherrington and the renaissance man Euan Burton - became the toast of the country despite few of us knowing what on earth was going on out there on the mat. The bowls was a sell-out. Against the stunning backdrop of Kelvingrove Art Gallery, Alex Marshall, Paul Foster, David Peacock and Neil Speirs took gold in the doubles and the fours. 'Tattie' Marshall is nobody's idea of a poster boy but that is what he became when galloping down the green in victory over England. His, er, celebration was as unsubtle as it was unforgettable. Ibrox was packed to the rafters two days running to watch Rugby Sevens, the atmosphere never more fantastic than when the adopted also-rans of Sri Lanka and Uganda played each other. The stadium was a joyous collective, a carnival atmosphere that was intoxicating and truly dreamlike. So many medals and so many great stories and images. Hannah Miley's smile after winning gold in the 400m IM. Little Erraid Davies and that heart-melting bronze in the 100m breaststroke in the Para Games. Daniel Wallace crying freedom. Lynsey Sharp crying and crying and crying after climbing from her sick bed to take a riotously acclaimed silver in the 800m at Hampden. The performance of the Games belonged to Ross Murdoch who took down the hot favourite Michael Jamieson in the 200m breaststroke final. The Commonwealth Games is a festival of sport but nobody is fooled into thinking that it is world class across the board. There are pockets of it, though, and Murdoch's victory was in that category. That was a stunning evening at Tollcross. Flynn had a category all of his own. Nobody smiled as much or made as many smile, not even Usain Bolt. Flynn had a lyricism and wit in his interviews that was by turns hilarious and profound. Amid the laughter, The Mailman's hunger was insatiable. Josh Taylor brought a second boxing gold. A blur of movement and class, Taylor rarely looked in danger of being denied. In the margins of the big occasions, Scottish cricket carried on with their preparations for the upcoming World Cup by appointing the veteran English cricketer, Paul Collingwood, to the coaching staff. Such a big few months for the game in this country. Five thousand people watched Kingussie win the Camanachd Cup after an eight-year wait, an eternity for such a stellar outfit. Ronald Ross, 39 years young, delivered again. Doesn't he always. We took one deep breath and the Ryder Cup was upon us. Gallacher fell painfully short of automatic qualification but made Paul McGinley's team simply because his form demanded it. Again, the weather Gods did their thing. Gleneagles looked magnificent. The setting could scarcely have been better. For this to have to been a vintage Ryder Cup it needed the element of suspense and drama. It had neither. The Americans were just not good enough, nor their leadership clever enough to produce a repeat of what we saw at Medinah two years ago. Europe were dominant while American were disorganised. McGinley did Tom Watson 7&6 in the battle of the captains. Watson was reeling by the time he got to the press conference on Sunday evening, whereupon Phil Mickelson's loaded criticism finished him off. For Wow! factor, Mickelson's filleting of his captain was the most dramatic moment of the week. It's hard to know where to place 2014 in the annals of great sporting years in Scotland's history. Many would put it first, for sure. Without doubt, it provided feel-good days that will take some beating. The country had two big jobs to do in 2014 - the Commonwealth Games and the Ryder Cup - and both were a triumph, two parties in the sun that will never, ever be forgotten.